We are starting a pop-up TASTING EVENT at our studio for 2018, featuring modern cooking techniques for our nature inspired dishes. Our concept on running the studio and our featured dishes vary greatly from the traditional restaurants. Not only would we be cooking for our customers, but also providing a conscious and nurturing environment and opportunities for our chefs to grow and enrich personally and professionally. Our key chefs will have the chance to get involved with planting and looking after our own produce and have a chance to collaboratively develop the dishes to serve at the studio and at the same time, take a leadership position to teach and educate their fellow chefs and interns. We will also be introducing a special style of service which blends the FOH team and the kitchen staff to meet and serve the customers on a regular basis. Guests will also be coming to the kitchen to see how their food is being prepared and this will be the approach on how we would like to be with our guests because dining is most than just cooking and serving dishes. Please refer to the career located at the bottom of our page at www.feuille-studio.com for more details. Thank you for your interest in becoming a part of the feuille’s professional kitchen team. Since you will be the key personnel overseeing our kitchen, we want you to be professional, positive, and curious about everything that goes into preparing the daily wonderful dishes. We will be working side-by-side quite closely throughout; therefore, a huge emphasis will be placed on being togetherness and being an active and supportive team member and leader. You being the ideal candidate will have the professional experience in running the kitchen, managing the staff in a fine dining setting for more than three years and have been educated, speak fluent English and is at least 22 years old. You are familiar with both the industry’s best practices and food safety knowledge and standards and you have travelled and worked at professional kitchens abroad for at least one year. Furthermore, if you choose to apply here, you will have browsed through our website, attempted to understand as much as possible about our cuisine directions and be able to make educated and related enquiries during the interview. We will also have some projects which you will participate during this pop-up service. We promise you it will be a fun experience, you’ll learn and we will grow together, but it won’t be easy. In fact, you will be expected to be fully committed to do everything necessary to have a fresh, smooth, and exciting opening for our pop-up tasting event. Remember, we are opening this new event together and we will have to strive to be the best team possible in the industry during this pop-up service. Are you the right candidate? Please email your CV and letter of motivation to feuillefood@gmail.com. We look forward to hearing from you! Thank you for your interest in becoming a part of the feuille’s professional kitchen team. We are planning a pop-up tasting event in 2018 which will last for four months and feature our artistic approach to various culinary creations that are not readily available in the current market. As this is not your average restaurant that takes place in a limited time frame, we also expect our operations to be quite different from the norm. Here, you will work fast paced and be taught and be involved in various technical preparations of our contemporary dishes, from the initial preparations to the finishing garnishes in a condensed time frame. You will be assigned and be expected to work side-by-side quite closely with your leader chefs; therefore an emphasis on being the supportive team member will be stressed throughout the event. You will have a chance to work with various ingredients, common and rare ones, participate in looking after our own crops, and take your various skills to the practical test. You being the ideal candidate will have the relevant semi-professional experience in the kitchen, from either the prep cook or the line cook in a fine dining setting for more than three years and have been educated, speak fluent English and is at least 22 years old. You are familiar with both the industry’s best practices and food safety knowledge and standards and you have travelled and worked at professional kitchens abroad for at least one year. Furthermore, if you choose to apply here, you will have browsed through our website, attempted to understand as much as possible about our cuisine directions and be able to make educated and related enquiries during the interview. We promise you it will be a fun experience, you’ll learn and we will grow together, but it won’t be easy. In fact, you will be expected to be fully committed to do everything necessary to have a fresh, smooth, and exciting opening for our pop-up tasting event. Remember, we are opening this new event together and we will have to strive to be the best team possible in the industry during this pop-up service. Are you the right candidate? Please email your CV and letter of motivation to feuillefood@gmail.com. We look forward to hearing from you! We are doing a pop-up tasting event at our studio. This managerial position will last up to 4 months with the potential of being possibly more. 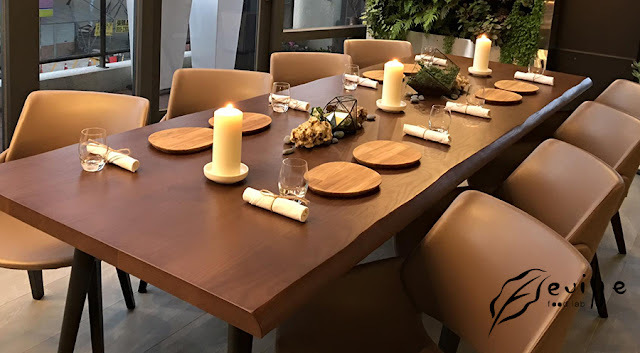 As this is not your typical restaurant, there are many areas which will require considerable learning and upgrading and improvisation of skills you may not normally experience. You will spend a significant amount of time, developing with the chef-de-cuisine the meticulous details for the service manuals, and based on that manual, you will execute, recruit, train, and evaluate the performance of the service team members and continuously monitor the overall working attitude and performance, motivate and strive for the best service possible during this period. You will also be expected to participate and carry out tasks related to marketing. You are passionate, work well together with both the service and kitchen staff, and make daily decisions that involve time management, uphold product quality, cleanliness, and service standards. You will go above and beyond and do all that is necessary to ensure a smooth, uninterrupted opening for our studio. Four major areas you will be involved in are sales forecast, strategic planning to increase the sales and profit margin, staff motivation and management, and help organize events to increase public exposure. As this a relatively new concept in a limited available time frame, there are bound to be challenges, yet at the same time, we believe it will be a rewarding and fun experience for you and us. Please email your CV and letter of describing what management means to you to this address: feuillefood@gmail.com. We look forward to hearing from you!